MYANMAR "Blasphemy" in Myanmar: three people convicted for "insulting Buddhism"
"Blasphemy" in Myanmar: three people convicted for "insulting Buddhism"
A New Zealand citizen who managed a bar and two Burmese colleagues were sentenced to two and a half years in prison. They sparked a controversy when their online ad for an evening of cheap booze showed the Buddha with headphones against a background of psychedelic colours. Many of those who saw the ad were outraged. Apologies on Facebook and in court were of no avail. 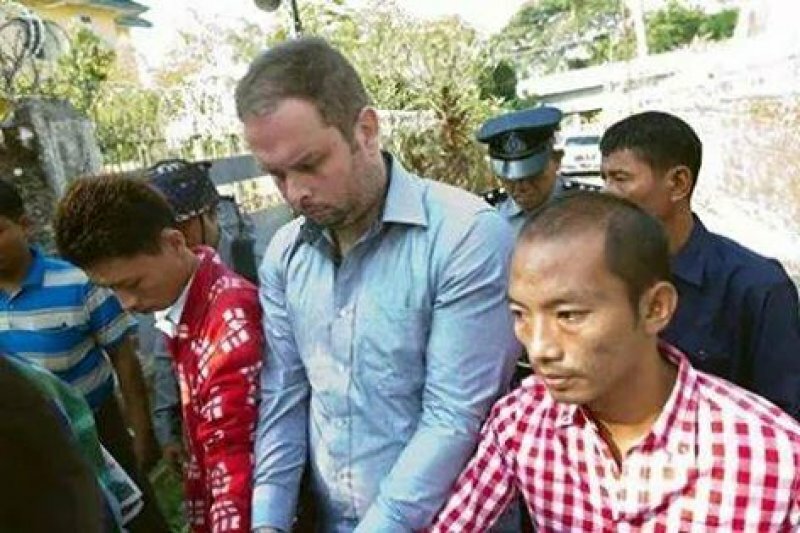 Yangon (AsiaNews/Agencies) - A court in Myanmar this morning convicted a New Zealand national and two Burmese for insulting Buddhism, the Southeast Asian country's dominant religion. During the trial, all three had strongly rejected the charges of blasphemy. The controversial case stems from an online advertisement for an evening of cheap booze that showed the Buddha with headphones listening to music. Philip Blackwood, who managed the VGastro Bar in Yangon, was arrested last December along with its owner, Tun Thurein, and Htut Ko Lwin, the other bar manager. The New Zealander and his two Burmese colleagues were sentenced to two and half years in prison. Like other Asian countries, Pakistan for example, Myanmar has a law that outlaws insulting or defaming religion. For Judge Ye Lwin, who ruled in the matter, public apologies on Facebook by the New Zealand national after the complaint of "blasphemy" were not enough. The court ruled that he "knowingly conspired to insult religious beliefs" when he posted the defamatory picture of the Buddha. The bar manager picked the image to promote an evening of cheap booze to attract more customers. Psychedelic colours dominated the background of the image, with the Buddha wearing headphones listening to music. After it was posted, the image sparked a reaction among offended and angered Buddhists. In recent years, Myanmar has seen the growth of a Buddhist-centred nationalist movement. This has led to the adoption of controversial legislation against conversions and mixed marriages. The trend has been accompanied by the rise of controversial figures, like Wirathu, a Buddhist monk nicknamed the 'Burmese Bin Laden' whose "fame" is closely related to the struggle between Buddhists and Rohingya Muslims in Rakhine State.